The global emission of CO2 has stagnated and is at the same level as the two previous years. Part of the explanation is reduced use of carbon in China. It is definitely a step in the right direction but there is no time to rest on our laurels. We still have a long way to go in the fight against climate changes and actions are needed now. Strengthening the global response to the threat of climate change is top of the agenda when Government representatives meet this week in Marrakech for the COP 22. However, fighting climate change is not only about deciding how much carbon China or the US may or may not use. It is also about making well informed choices when investing in new energy infrastructures, to allow for an effective transition of the energy system. ”To succeed we need a strong cooperation and development across sectors and traditional divides. For a long time, Denmark has been top of class when it comes to developing and exporting solutions in sustainable energy. However, increasing global competition demands that governments and legislators take action to ensure the best possible conditions for the Danish sustainable energy industry”, says Thea Larsen, Chairman of the Partnership Smart Energy Networks and CEO, Danish Gas Technology Centre. In Denmark our aim is to be free of fossil fuels in 2050 – ambitious yes, but not impossible. To reach our goal we need to face the challenges and find the necessary solutions. On this note the Partnership for Smart Energy Networks, has recently launched a paper with recommendations for research, development and demonstration of smart energy solutions. “Our recommendations are the result of a successful process where experts and representatives from universities, trade organizations and the industry have met to discuss the necessary steps towards Denmark becoming independent of fossil fuels before 2050. With that in mind we have defined which actions in research, development and demonstration of smart energy that should be initiated in the nearest future”, continues Thea Larsen. However, implementing new solutions takes time, and that is why the industry, knowledge institutions and the legislators needs to act immediately. Denmark has the potential to maintain the position as global leader in sustainable energy but more knowledge and development is needed. The decisions we make today will affect future generations and we need to consider and perhaps even reconsider some of the future investments in buildings infrastructure and the fundamental design of the energy system. How to reach the overall target is not set in stone neither will it be easy. But making the necessary decisions in time will be crucial. The Smart Energy Network has identified 15 specific recommendations to be implemented now to reach the overall target of a CO2 neutral future by 2050, and at the same time create value, export and growth based on the Danish pioneer position. 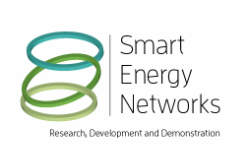 Supported by EUDP, the Partnership for Smart Energy Networks was formed in 2014. The network brings together the Danish energy companies, industry and knowledge institutions within electricity, heating, cooling and gas. The overall purpose is to enable optimal exploitation of resources through strategic planning for Research, Development and Demonstration of integrated and intelligent energy systems.